Upon presentation of the Entry Ticket to the Musée Angladon. Access to the exhibitions until 10pm. The Musée Angladon – Collection Jacques Doucet has decided to give a particular theme to each of its seasons. The idea is to enhance knowledge about an artist by spotlighting a work housed in the Museum’s collections, to establish connections between sensory universes, colours, music and movement, and to foster the dialogue between the arts by inviting creators, historians, actors and authors to engage with a work of art. The first of these seasons, inaugurated in autumn 2017, has been devoted to Vincent van Gogh and concludes on 28 June with a talk by Bice Curiger, artistic director of the Fondation Vincent van Gogh Arles, on the subject of Van Gogh and Contemporary Art. Visitors attending the talk will be able to view the collection of masterpieces on the ground floor of the Museum until 10pm. 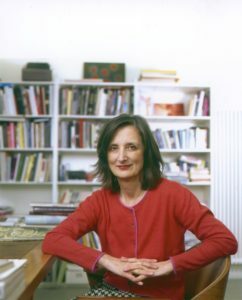 A leading figure on the international art scene, Bice Curiger brings her wealth of experience to the conception and realisation, at the Fondation Vincent van Gogh Arles, of a dynamic program, which explores the resonances between original works by Vincent van Gogh and those of contemporary artists. Art historian and art critic, Bice Curiger was curator at the Zurich Kunsthaus for twenty years and in 2011 curated the 54th Venice Biennale. Within the framework of the partnership between the Musée Angladon – Collection Jacques Doucet and the Fondation Vincent van Gogh Arles, David Hockney’s Vincent’s Chair and Pipe (1988) is currently on show at the Museum Angladon. The painting, on loan from Arles, can be seen until 28 October. In exchange, Van Gogh’s Railway Carriages (1888), which belongs to the Museum Angladon’s collections, is on loan to the Fondation Vincent van Gogh Arles for its exhibition Hot Sun, Late Sun. Modernism Untamed.